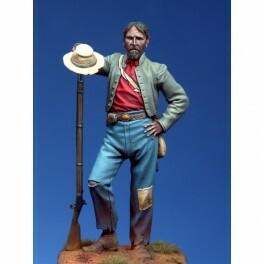 > Figurines par Marque>ART GIRONA>International Serie>VOLUNTEER OF 4TH GEORGIA INFANTRY, 1863. AMERICAN CIVIL WAR. VOLUNTEER OF 4TH GEORGIA INFANTRY, 1863. AMERICAN CIVIL WAR.